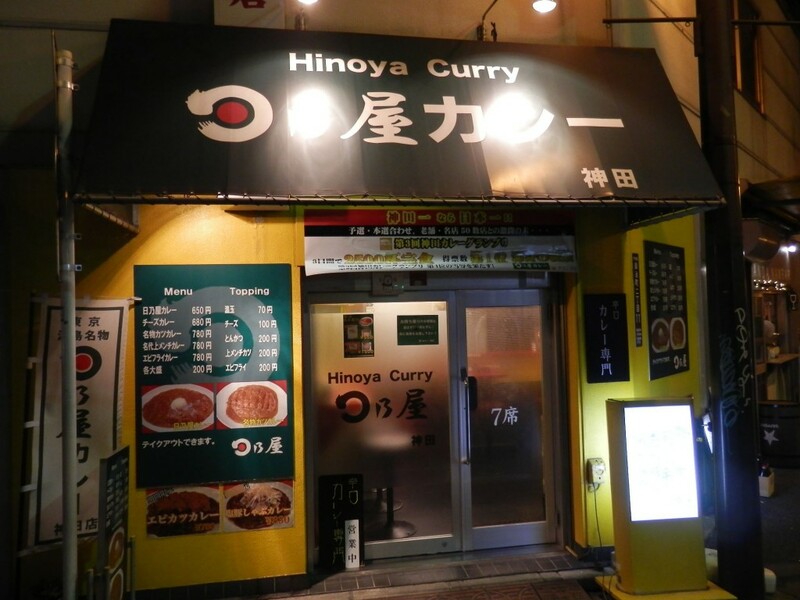 Today, I visited “Hinoya Curry Kandaten”. It is located a few minutes from Kanda station. 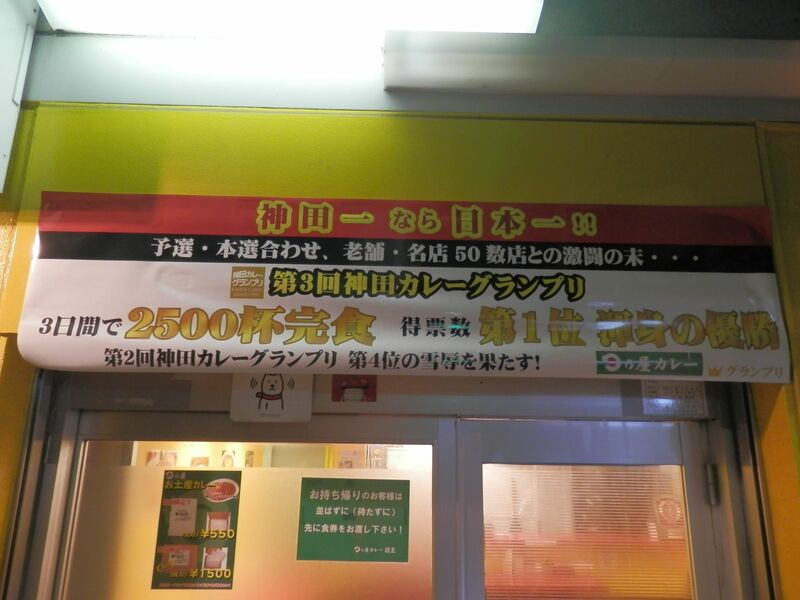 It was said that this curry shop got a first prize at the 3rd Kanda Curry Grand Prix(2013). I have long been looking forward to trying a curry at this shop. I bought a ticket out of a vending machine and waited around 5 minutes before a curry came. 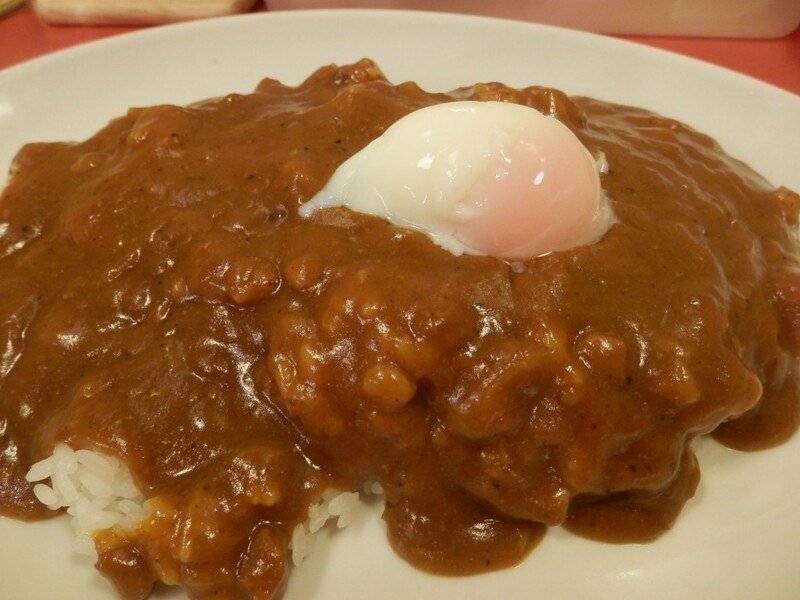 What I ordered today was a “Hinoya curry with a half boiled egg(￥650)”. It looked cheap taking into consideration of its quantity. You could also order a raw egg instead of half boiled one. First bite,,,,,sweet,,,,,,sour without hotness. Then, hot taste came like a big wave. Sweetness, sourness and hotness came one after another. It was really delicious. It was difficult to stop eating. I have already expected to be a repeater while I was eating. Then, I enjoyed milder one with an egg. When I finished half of them, I put free toppings, tenkasu (a small piece of batter of tempura) and garlic chips on leftovers. Texture of tenkasu and flavor of garlic chips matched the dish very much. An unforgettable curry with strong originality. I would like to tell my friends how delicious it was a.s.a.p. Why don’t you try one?